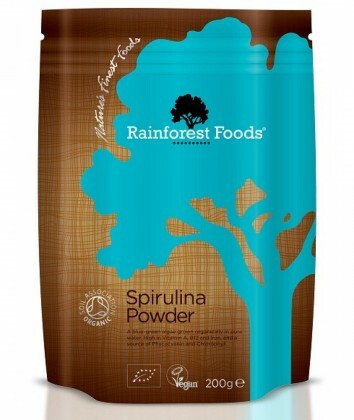 Rainforest Foods Organic Spirulina Powder 200g. 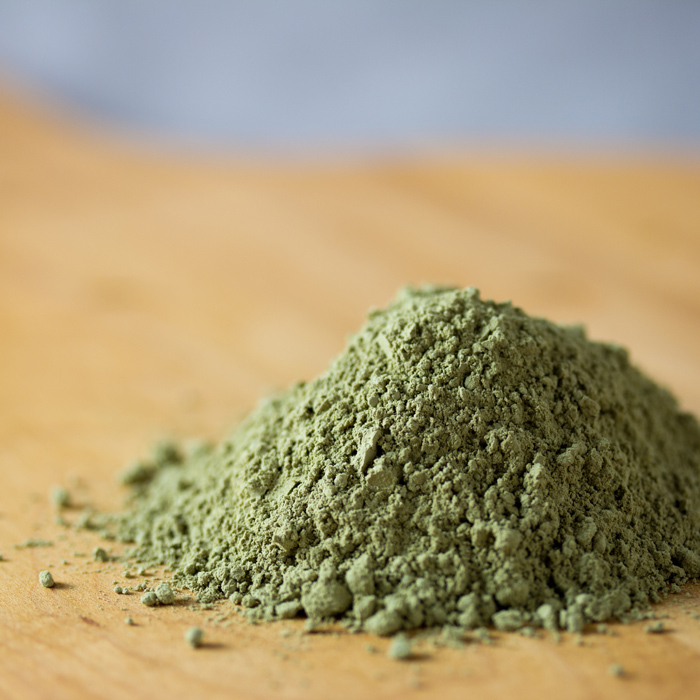 100% Organic Spirulina, a blue-green algae grown in pure water. Harvested Raw, dried and milled to powder. Very high in Protein – 64g Protein containing all essential amino acids. Great to help muscle maintenance. Rich Source of Vitamin A and Vitamin B12. 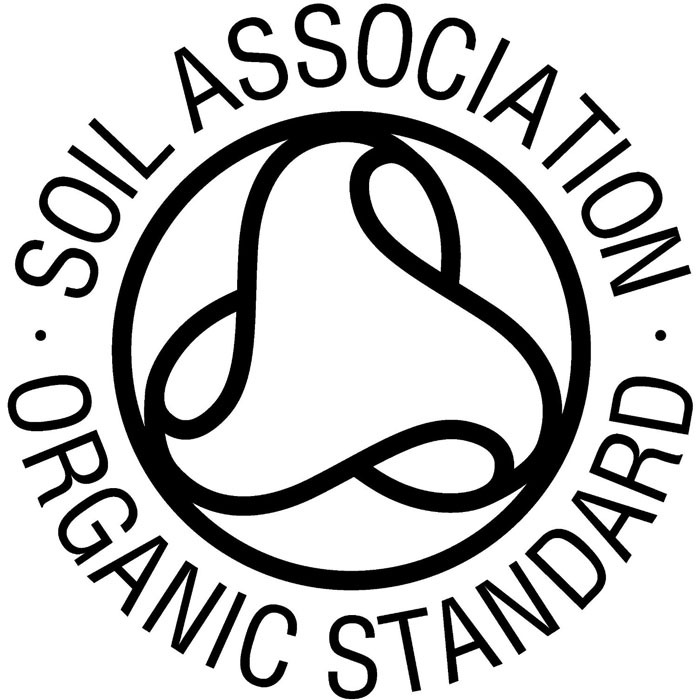 High in Iron and a great source of Chlorophyll and Phycocyanin. SKU: 1017. Categories: Proteins, Sports Nutrition, Superfoods, Vitamins. 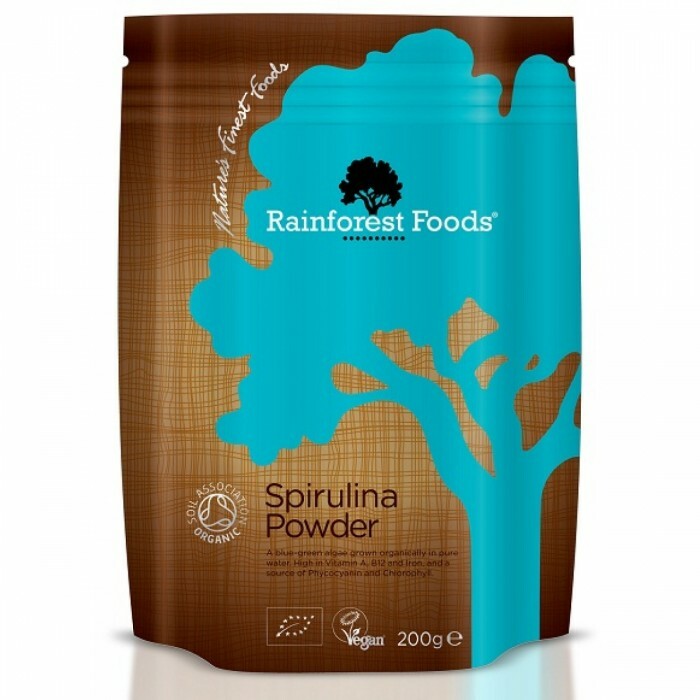 100% Organic Spirulina a blue-green algae grown in pure water. Harvested Raw, dried and milled to powder. 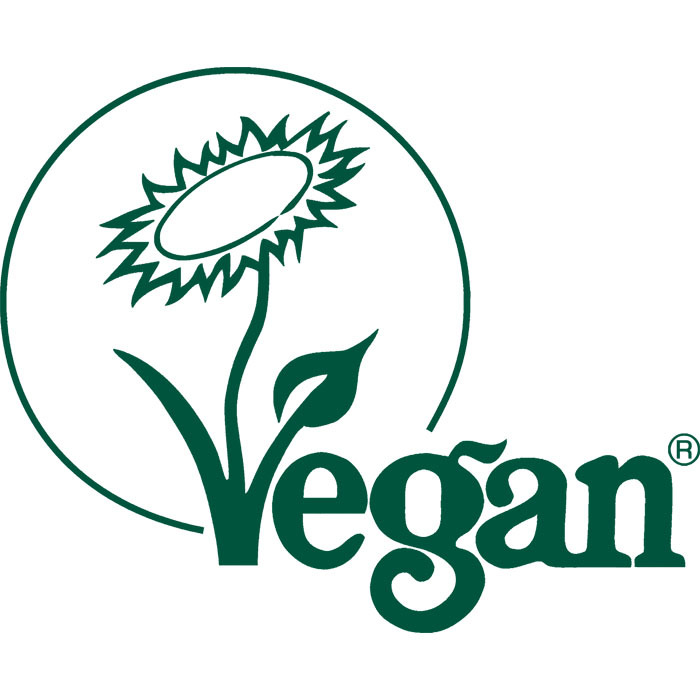 Very popular with Vegans and Vegetarians looking to increase their protein intake. 1/2 a teaspoon (1.5g) once or twice a day for the first week and then 1 full teaspoon (3g) once or twice a day. AddÂ into water, a smoothie or your favourite juice and mix well.